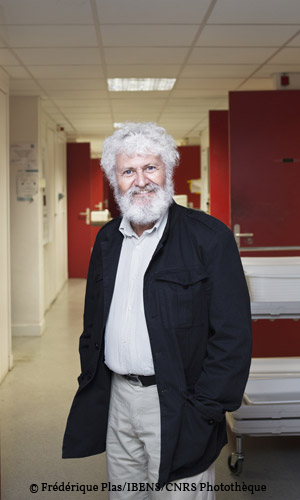 Éric Karsenti is the laureate of the 2015 CNRS Gold Medal. An internationally recognized biologist and CNRS senior researcher emeritus, he has received this award for his exceptional contribution to the understanding of the mechanisms involved in cell division. Karsenti has spent much of his career at the European Molecular Biology Laboratory (EMBL) in Heidelberg, Germany. A true adventurer of the living world, he is also the initiator of Tara Oceans, an expedition launched in 2009 to map the biodiversity of the world’s oceans and shed light on the vital role played by microscopic marine life. The field work was completed in March 2012, and the first results of the Tara Oceans project were released in May 2015. He heard the call of the sea as a young boy, and was taking sailing lessons even before he became a teenager. 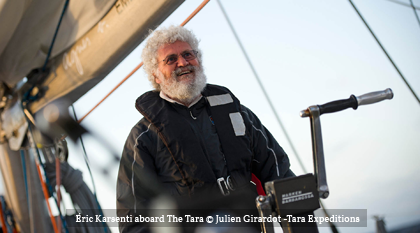 Although he was born in Paris in 1948, Eric Karsenti is a sailor at heart. When it came to choosing a discipline, he first leaned toward oceanography or marine biology. But the director of the Concarneau Marine Biology Station steered him toward genetics. After studying biochemistry and genetics in Paris, he began his professional life at the Institut Pasteur’s immunocytochemistry laboratory, working under the supervision of the French immunologist Stratis Avrameas. But his passion for the sea continued unabated: in 1979, while completing his PhD thesis in cellular biology and immunology, he gave sailing lessons in Brittany. in the early 1980s to work as a postdoctoral fellow at the University of California, investigating the cell cycle as part of a team led by Marc Kirschner. 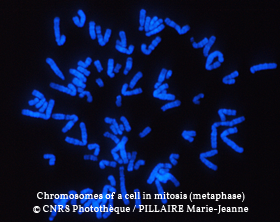 The young researcher conducted various experiments to determine the respective roles of centrosomes (the organelles that organize the microtubules), chromosomes (which carry genetic information) and cytoplasm in the formation of mitotic spindles of microtubules, the mechanism that enables chromosomal migration during cell division. At the time, the dynamics of the cell cycle and mitosis had already been clearly described but completely understood, especially at the molecular level. Based on his experiments, Karsenti proposed a new hypothesis according to which chromosomes play an essential role in the organization of the microtubules, forming the mitotic spindle between the two poles of the cell. a specific cellular structure found at the poles of the spindle, induced the assembly of microtubules and the bipolarity of the spindle in mitosis. With Marc Kirschner, we used centrioles isolated in test tubes by Tim Mitchison and discovered that even without them, the assembly process still took place. We inferred that, rather than the centrioles, it was the chromosomes themselves that triggered the process. It was so unexpected that no one believed us at first—nor for some time afterwards! As always in science, we had to work very hard to accumulate enough experimental evidence to confirm that initial observation,” Karsenti adds. In 1985, the biologist took off for Heidelberg, where he joined the department of cell biology at the European Molecular Biology Laboratory (EMBL). There he continued his Californian research as part of a new team, with a new goal: to identify the factor(s) that cause chromosome condensation, a vital phase in mitosis. Except during the brief period of division, the cell’s DNA does not come in the form of chromosomes, usually represented as Xs and Ys. Most of the time, the DNA strands are unraveled, forming a mass at the center of the cell’s nucleus, like thousands of unwound thread reels tangled up on a huge rug. It is not possible to separate the threads into two perfectly equal bunches without rolling them up first. The same thing happens within the cell: before being divided into two batches, the chromosomes’ DNA has to be “rewound”. The question is: which protein is responsible for this tedious process? In Heidelberg, Karsenti and Dorée follow in Nurse’s footsteps, showing that the kinase remains inhibited until the cyclin concentration reaches a certain threshold, and that it deactivates spontaneously after ten minutes. “Given the autoinhibition of the kinase activity,” Karsenti continues, “I started thinking about other instances of self- organization in biology. While working with my students on the mitotic spindle during that period, I realized that a phenomenon of this type was taking place: at a certain point in the cell cycle, ‘motors’ linked to the microtubules adopt a collective behavior and organize these small building blocks into a spindle. By the end of the 1980s, the mystery surrounding the universal molecular motor of the cell cycle was about to be solved. Each living cell is equipped with a clock-like mechanism that controls its cycle, as demonstrated by Eric Karsenti and his teams over years of experiments. In the lab, Eric Karsenti’s team has shown that without the action of certain molecular motors, proteins that use the cell’s energy to move along the microtubules, the mitotic spindle cannot form properly. But to understand how the protein motors, microtubules and chromosomes behave collectively during the assembly of the spindle, the biologist relied on digital simulations0performed in cooperation with physicists. These same microtubules induce the separation of the chromosomes, and grow shorter with the help of the motors, exerting a pull on the chromosomes. Biologists call this depolymerization, and liken the process to a necklace losing its beads. Thus pulled apart, the X chromosomes are cut in half lengthwise, with each half going to one of the daughter cells. Meanwhile, in 1988, Eric Karsenti embarked on a new adventure. 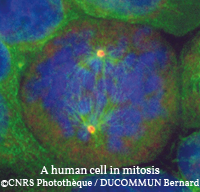 In Roscoff (Brittany), he initiated the first Jacques Monod conference on the cell cycle, with a view to fostering interdisciplinarity — a principle that would guide his entire career. Hosted by the CNRS and INSERM through the Institute of Biological Sciences (INSB) and the Institute of Ecology and Environment (INEE), the conference series continues to this day, with four to six events scheduled each year, most often in Roscoff. Discussions focus on new topics in the life sciences, especially those that involve0several disciplines. 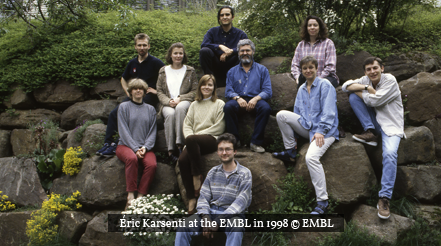 In 1996 Karsenti was named director of the EMBL department of cell biology, taking over from the Finnish biologist Kai Simons. His main goal was to promote interdisciplinarity within a structure that he found “ a bit too 20th-century”. He took on the challenge with enthusiasm, encouraging cooperation among researchers from different fields and renaming his unit the « department of cell biology and biophysics » . Karsenti insits: “If we really want to understand a phenomenon like self- organization in the cell,we need to work with physicists and statisticians to quantify it —and imaging specialists to observe it better. Between 2001 and 2003, Karsenti seemed to be on all fronts. He moved back to Paris to head the Institut Jacques Monod but pursued his EMBL projects. In parallel, he became an advisor to Elisabeth Giacobino, senior researcher at the French Research Ministry. Yet he still had a dream: it was during that period that he hatched the idea of a marine expedition around the world, after reading Charles Darwin’s account of his voyage on board the Beagle. Karsenti’s dream came true with the Tara, a polar schooner that was given a second life as a floating laboratory. 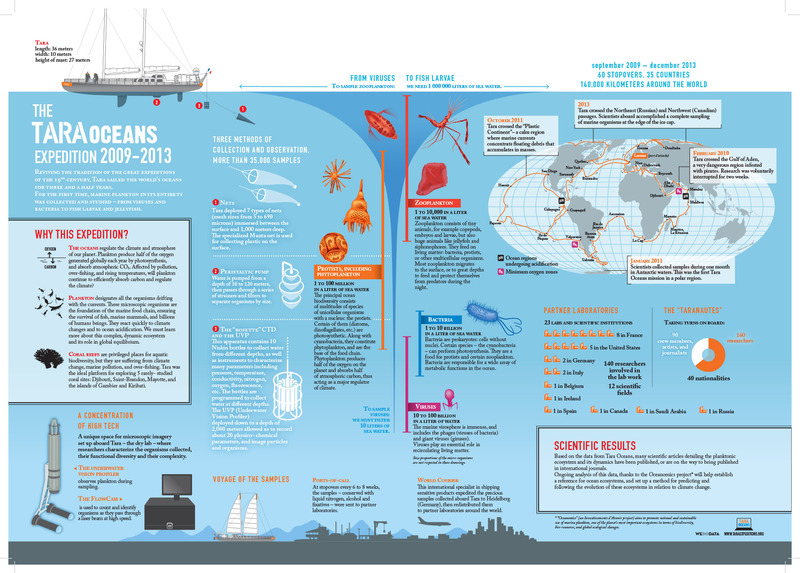 In 2009 the Tara Oceans expedition, with Karsenti as scientific director, set sail after a full year of preparation. The ship covered 140,000 kilometers, sailing the Mediterranean, the Red Sea, the Indian, Pacific and Atlantic Oceans, all the way to Antarctica. “Tara Oceans was a new adventure for me,” the researcher relates.“At 60, I felt the need to change perspective, to address fascinating but troublesome questions about the past evolution of our planet and its imminent future, in which the oceans are crucial. Not only did life on Earth originate in the oceans, but it still largely depends on them. To improve our understanding of the key role of microscopic marine life, I built up a multidisciplinary team of world-class researchers. On board the Tara, biologists worked alongside engineers, computer scientists, oceanographers, quantitative imaging experts… and even artists! 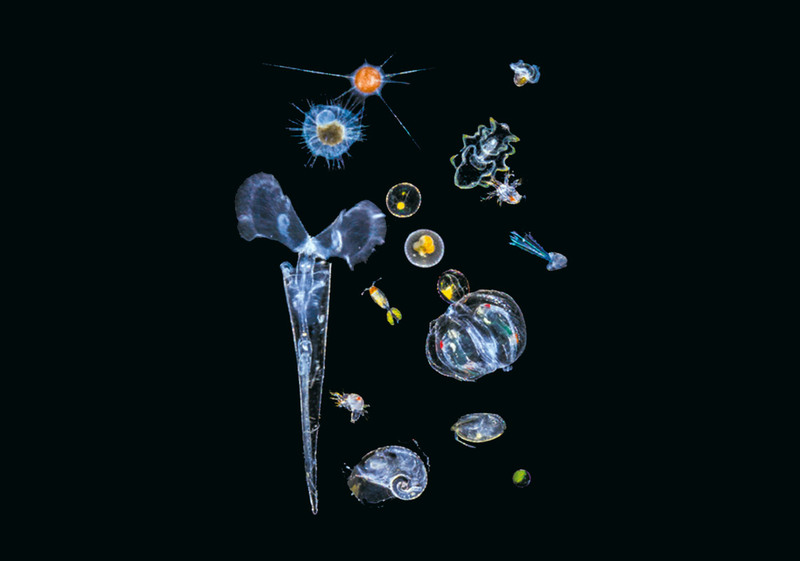 According to Karsenti, “that was the strength of the expedition,” as it enabled its participants to make invaluable discoveries concerning plankton, which—albeit invisible—store 50% of the planet’s CO2. The Tara had a dual goal: to understand the functioning and diversity of marine life, but also to forecast marine ecosystems’ response to climate change. Managing logistics was a daunting task, with 126 researchers, 70 crewmembers plus artists and journalists from 35 countries taking turns on board, nearly 200 sampling stations, 53 oceanographic missions across the globe and the necessary requests for permission to drop anchor and take samples in territorial waters. Everything was skillfully handled by Tara Expeditions, with the help of one of Karsenti’s collaborators, S. Kandels-Lewis. Based on the samples collected, the researchers have already characterized all types of viruses, bacteria and small eukaryotes from the first stations visited. In the latter category, they have identified some 150,000 genetic types, of which only 10,000 were previously known. Contrary to prior belief, the eukaryote population is much more diverse than that of bacteria. So far, the Tara project has characterized nearly 40 million bacterial genes, most of them unknown to this day —the most extensive such biological census ever undertaken. Even in the 21st century, scientists don’t always know what they are going to find. A surge of cold deep-sea water rising to the surface. This oceanographic phenomenon occurs when strong maritime winds displace the surface water, leaving a “vacuum” that is filled by nutrient-rich water from the lower depths. An active marine ecosystem develops, in particular with the proliferation of phytoplankton, a key element in the marine food chain. Contrary to popular belief, the world’s largest deserts are not on land but underwater. Ocean warming reduces the amount of oxygen dissolved in the water, primarily in zones where the currents flow in large circular patterns called gyres. These “dead zones”’ are increasing at an annual rate of nearly 5%. They can be identified in satellite photos by the color of the water and plotted on colorimetric maps: the greenest zones are rich in photosynthetic organisms while the lifeless ocean deserts are dark blue. Since the end of the pre-industrial period, the acidity of the oceans has increased by 26%. Ocean water absorbs nearly one quarter of all CO2 emissions generated by human activity, compared with 30% for terrestrial vegetation. When carbon dioxide is dissolved in seawater, it is transformed into carbonic acid, which lowers the water’s pH (by an average of 0.1 units per century) and disrupts marine biodiversity. Calcifying organisms are the first to be affected: the more acidic environment makes it difficult for them to secrete the calcium carbonate that forms their shells or skeletons. The seawater also becomes more corrosive, altering their physiology and reproductive cycles. Also called the “great Pacific garbage patch,” the “trash vortex” and “plastic soup,” it is an enormous gyre of plastic waste in the northern Pacific. With a mass of nearly 7 million tons, it is about six times the size of France—and the amount of plankton in the world’s oceans. Invisible to satellites, the “soup” can be seen from the deck of a ship: it actually consists of innumerable tiny plastic particles, most of them less than 5 mm in diameter, suspended on the surface or as deep as 30 meters. Other patches of plastic have formed in the southern Pacific, the north and south Atlantic and the Indian Ocean. All of these zones are characterized by the confluence of currents that form giant whirlpools, called gyres. The first, and largest, plastic gyre was discovered by chance in 1997 by Charles Moore, a specialist in this type of pollution and the founder of Algalita Marine Research and Education. Cleaning up the oceans is a monumental task, and the presence of plastic microparticles makes it all the more daunting. These particles pose a serious threat to biodiversity because they are ingested by marine organisms and contain high levels of toxins. Huge eddies of ocean water formed by a confluence of marine currents, gyres are due to the Coriolis force. The center of a subtropical gyre is a high-pressure zone. Water circulating around this zone causes frictional surface currents towards the latitude at the center of the gyre, where rising water creates a flow towards the equator through a set of complex dynamics. The South Pacific Subtropical Gyre is the Earth’s largest gyre. Located between South America and Australia, it is almost inactive and relatively barren of marine life. 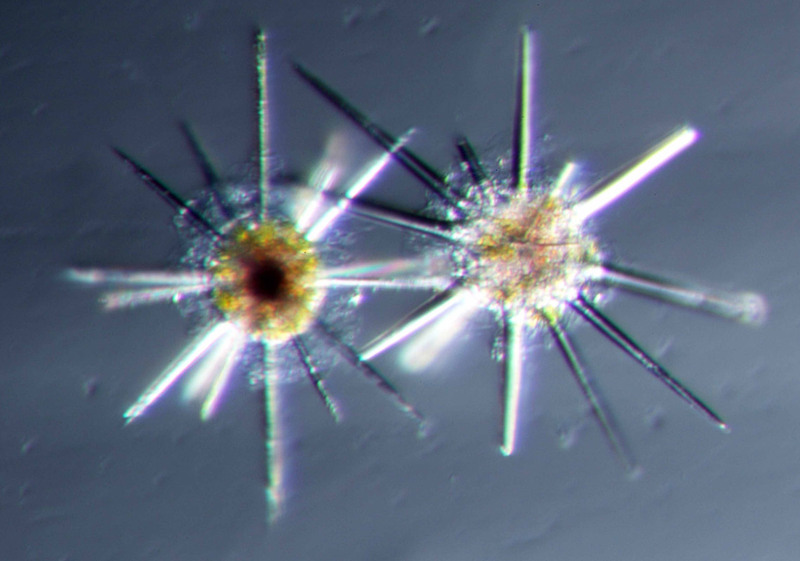 Microscopic marine plants and bacteria which are capable of photosynthetic activity. Phytoplankton makes up about 50% of the organic matter produced on Earth. The term plankton is used to designate all marine organisms that cannot swim against the current and therefore drift with the water. The word comes from the Greek planktos, meaning “errant” or “drifter”. These organisms range in size from viruses a mere 20 to 300 nanometers across, to jellyfish 2 meters in diameter and siphonophores as long as 50 meters (so-called megaplankton). They can be animal, vegetable or display characteristics of both. 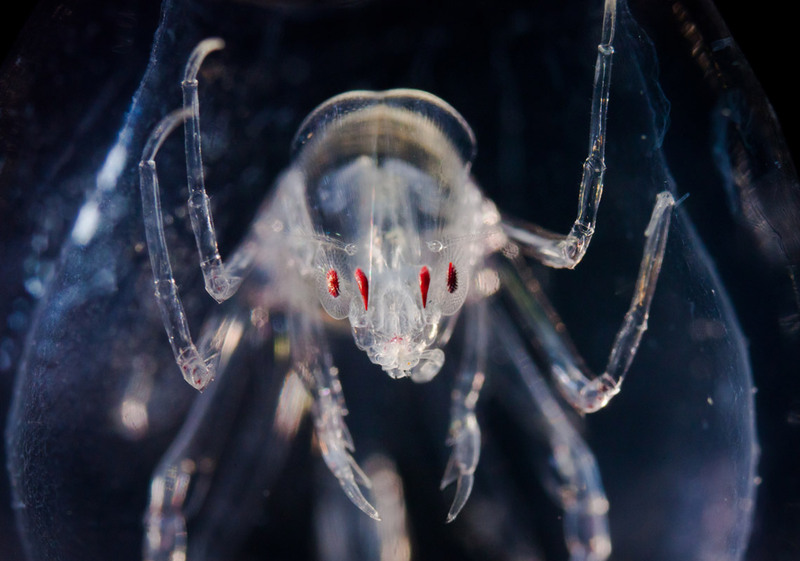 They can also be plankton for a brief part of their life cycle, as is the case with fish larvae. 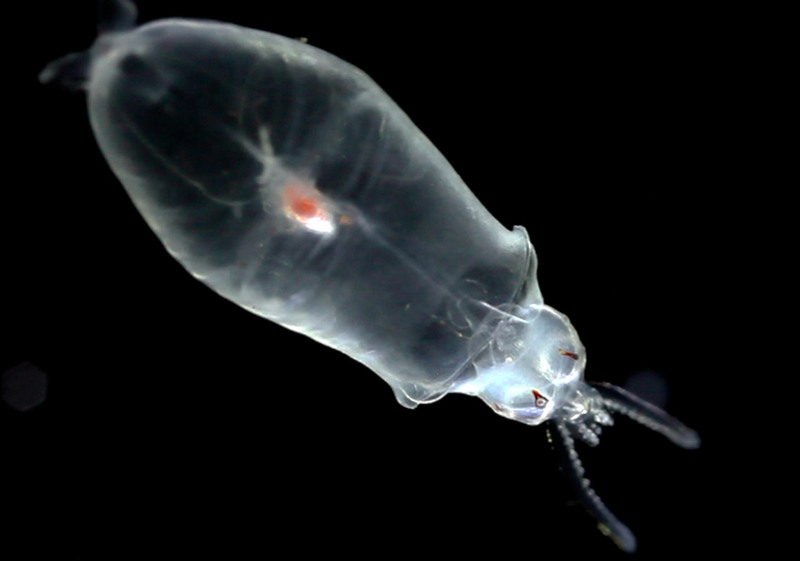 The oldest living beings on Earth, plankton are a highly varied and still little-known life form. Figures speak for themselves: 1 liter of seawater can contain 100 billion viruses, 10 billion bacteria and 100 million protists. 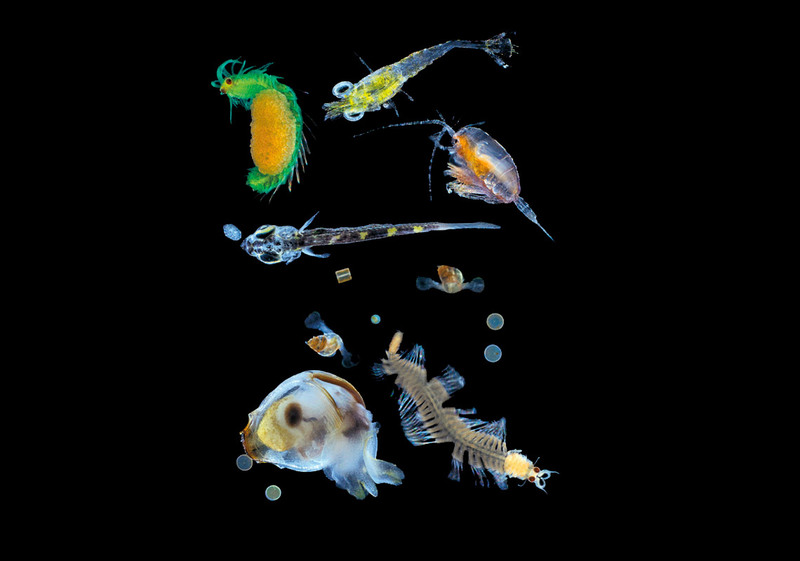 Plankton accounts for 98% of the oceans’ total biomass, and it is estimated that 70-80% of its species have yet to be identified! 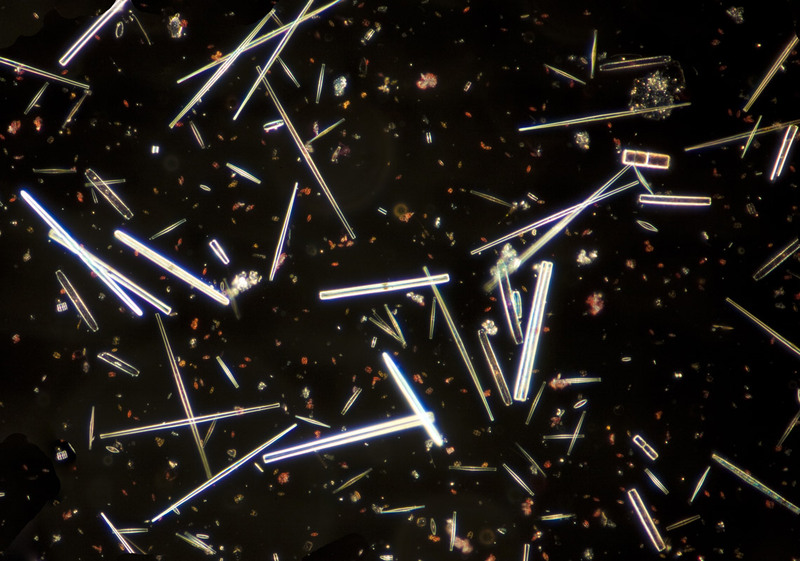 Plant plankton, or phytoplankton, produces half of the oxygen we breathe. on the Brittany coast. It was followed by the Tara Oceans Polar Circle expedition, which mapped the biodiversity of Arctic plankton between May and December 2013 and closed the final chapter in this maritime and scientific Odyssey. But the adventure of Tara Oceans was not over yet: all of the samples gathered around the world still needed to be analyzed. After 938 days at sea, it took until May 2015 for Tara Oceans to release its first results. From the ship to the lab, the mammoth task of interpreting the data has only just started. 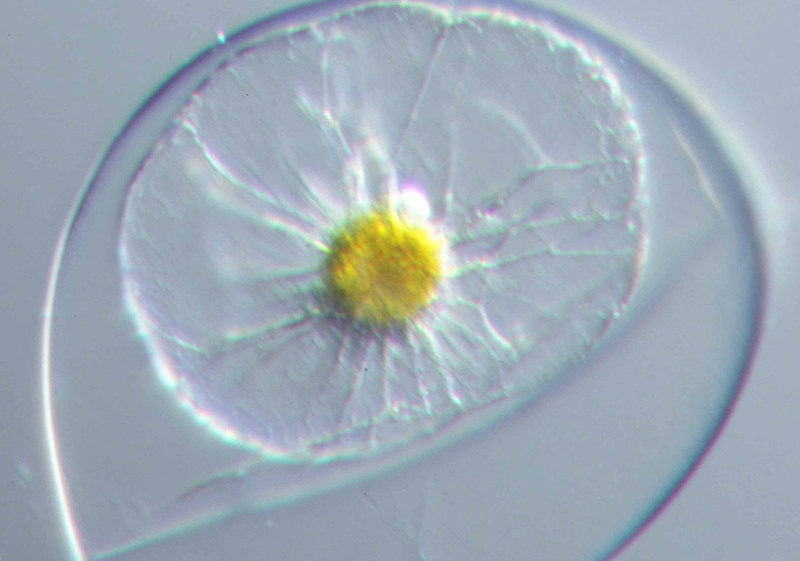 Epicancella nervosa, a unicellular eukaryote found among the zooplankton collected in the southern Pacific during the Tara Oceans expedition (station 98). Cyttarocylis brandti morph. 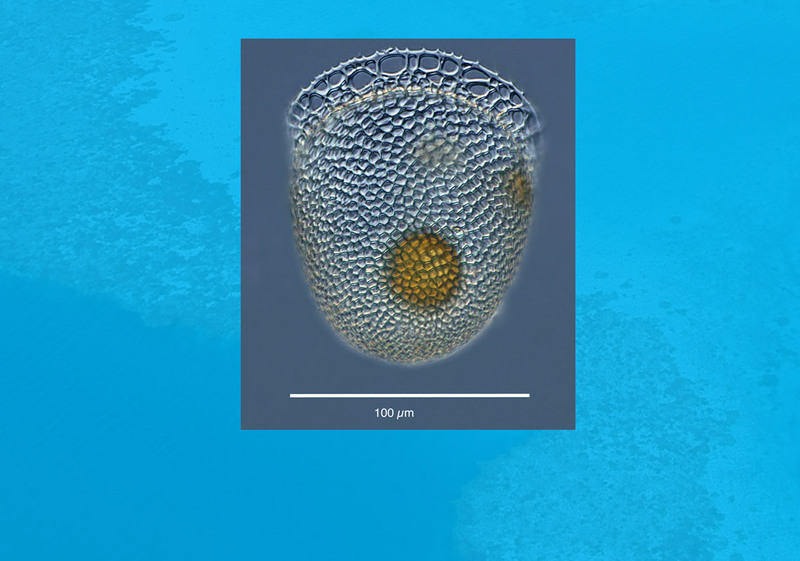 of Cyttarocylis ampulla, a unicellular eukaryote found among the zooplankton collected in the southern Pacific during the Tara Oceans expedition (station 111). This specimen has the structure of a C. brandti morph. shell as well as the rounded shape of C. eucecryphalus morph. 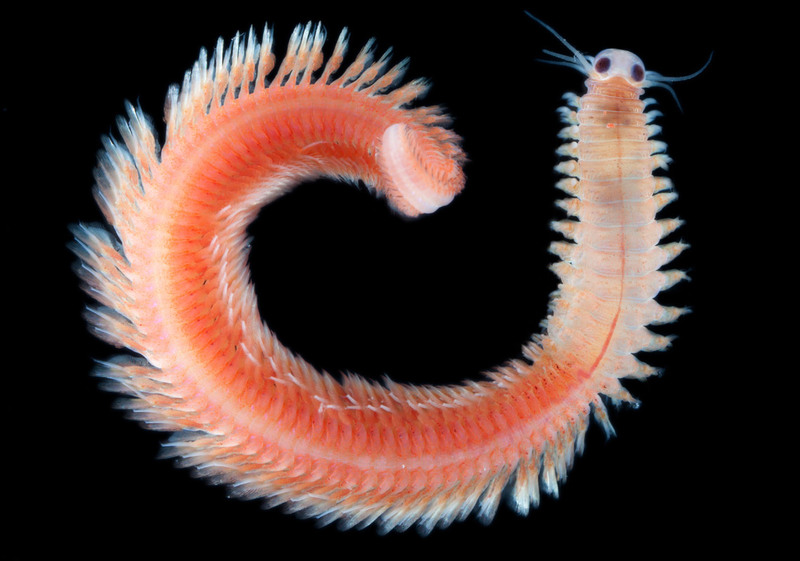 give the phronima panoramic vision. This one comes from the Observatoire Océanologique in Villefranche-sur-Mer. A crustacean of the order Euphausiacea (superorder Eucarida) collected by the Tara in the Indian Ocean. The order includes krill, a key link in the marine food chain. off the coast of the Maldive Islands. The orange fragment in the far lower left is a chip of paint from the Tara’s hull. whose prominent heads have arms, or tentacles. The best known are octopuses and squid. 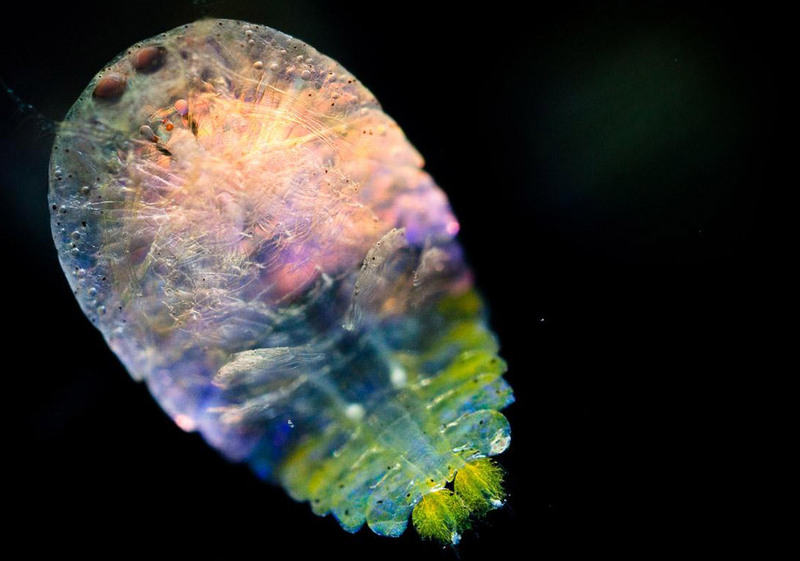 A crustacean larva collected by the Tara in the Indian Ocean. A copepod of the zooplankton genus Sapphirina. 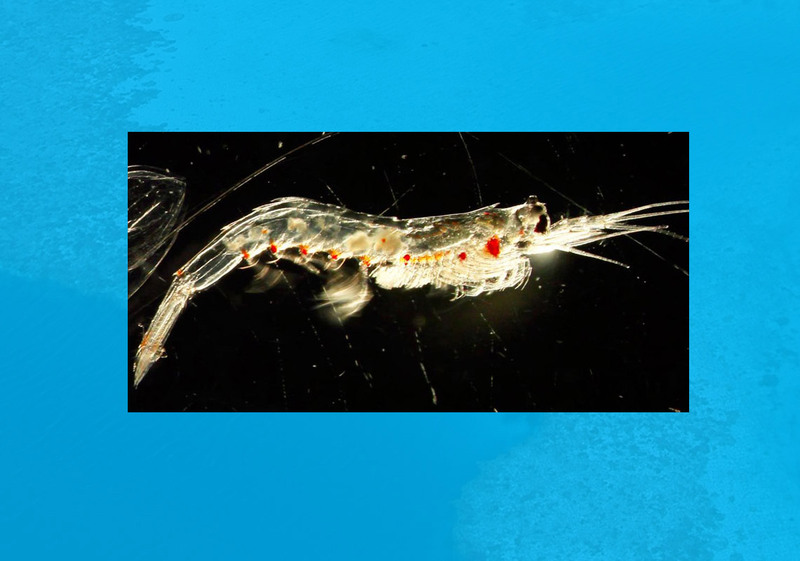 Planktonic copepods play an important role in both the marine food chain and the carbon cycle. Specimen collected by the Tara in the Indian Ocean. 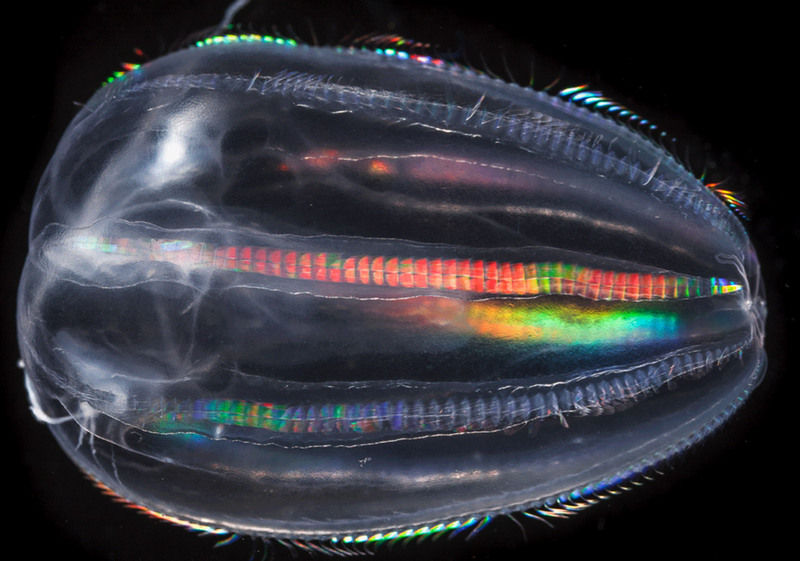 Ctenophores are a phylum of carnivorous plankton, which swim using eight comb-like rows of cilia. 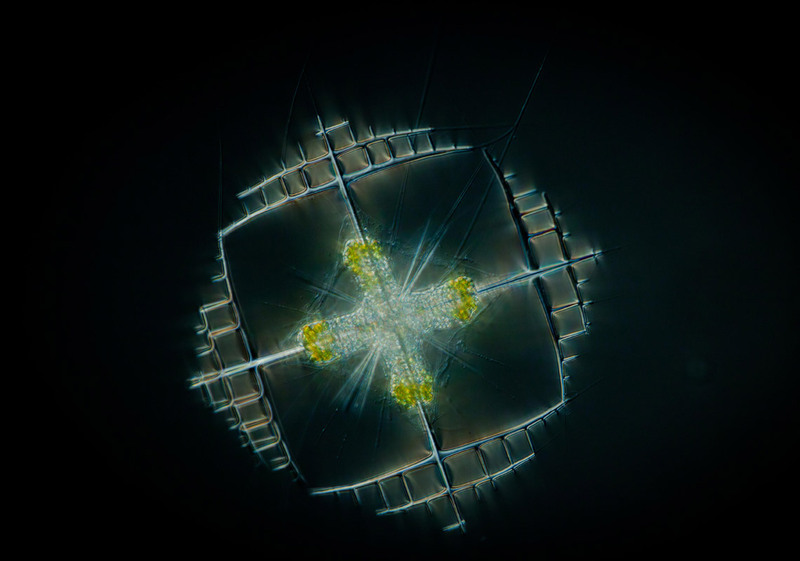 © Christian Sardet, "Plancton, aux origines du vivant" Ulmer 2013 (“Plankton: Wonders of the Drifting World,” Univ. Chicago Press 2015). 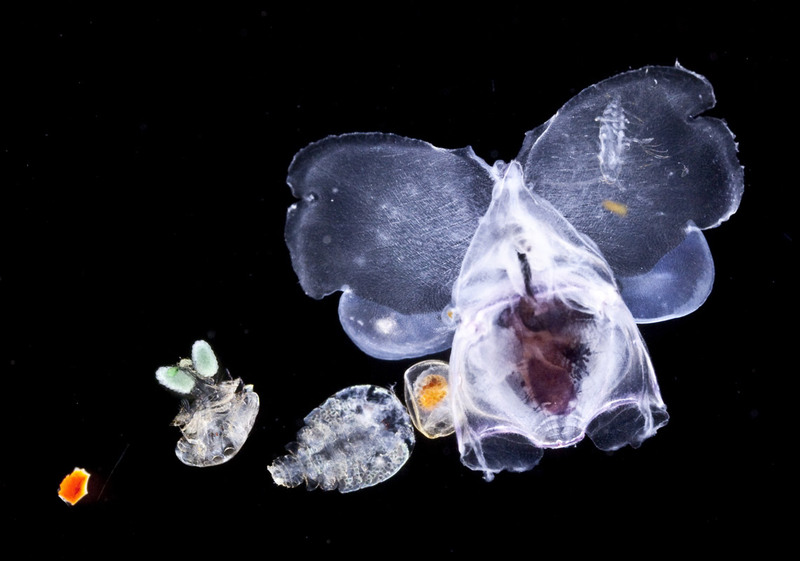 on the right, an amphipod of the Phronima genus and an Atlanta pteropod mollusk. 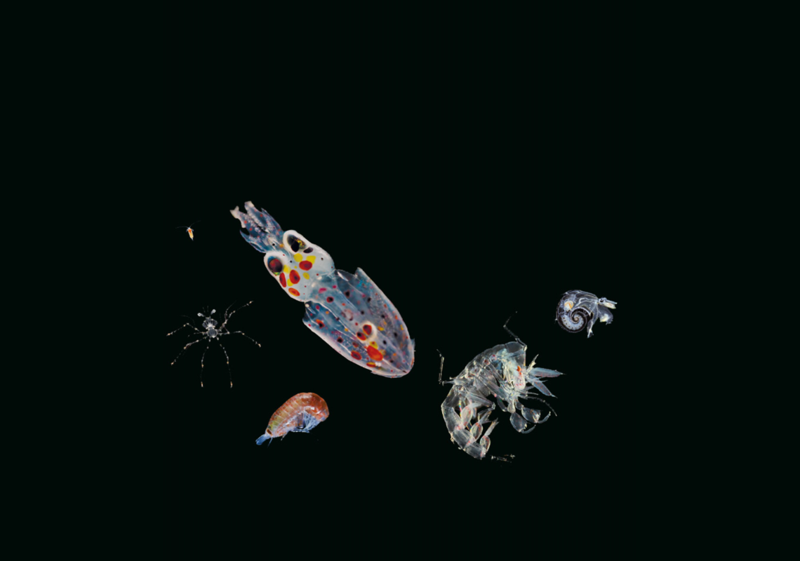 —small animals and zooplankton larvae—and unicellular protists, including diatoms, dinoflagellates and radiolarians. 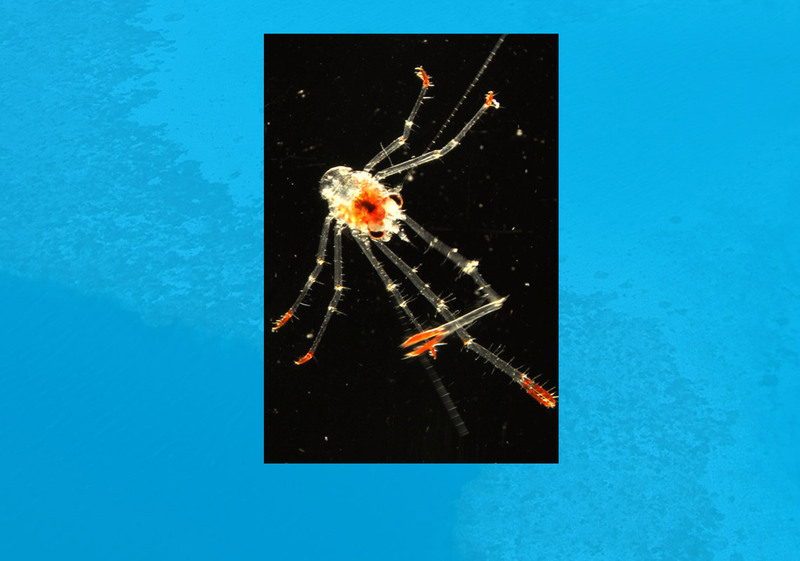 Plankton collected in the Mediterranean during the winter using a 0.2 mm mesh net, composed of a mixture of protists and zooplankton (animals and larvae). 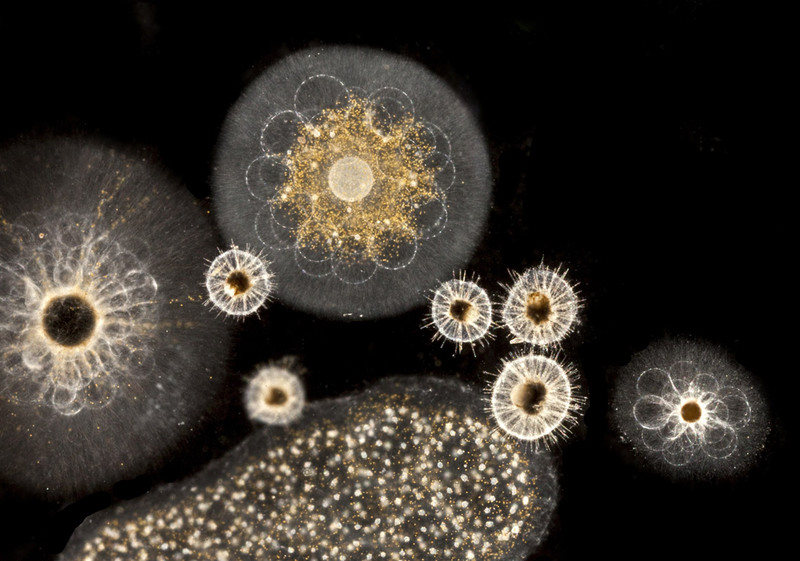 Marine diatoms collected during the Tara Oceans expedition. 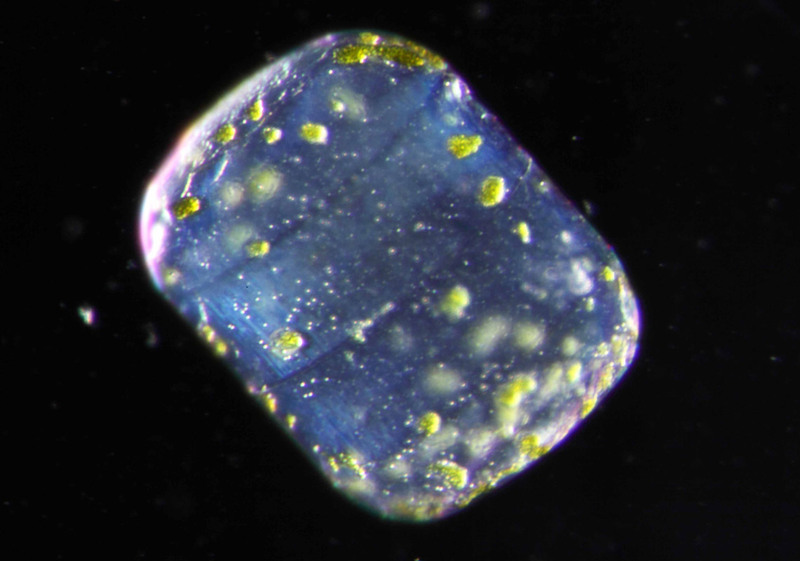 Unicellular algae with an external silica structure, diatoms make up the largest group of phytoplankton algae. 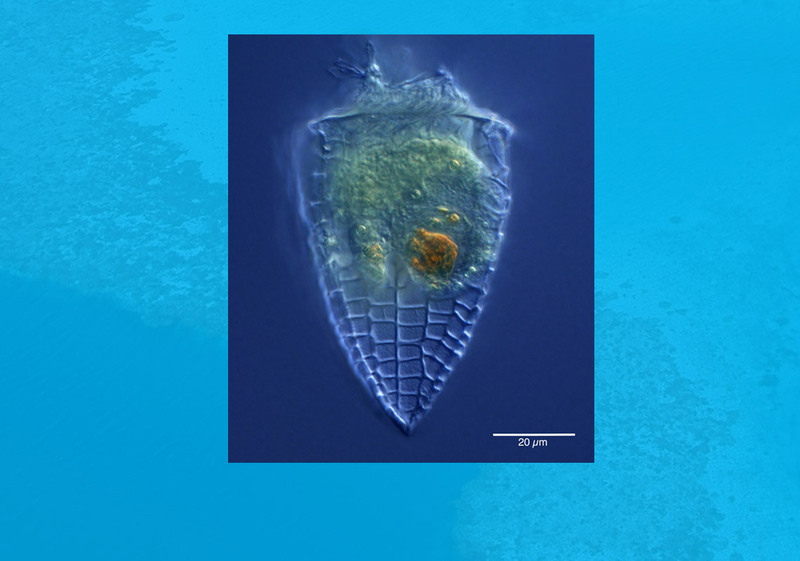 A protist: the dinoflagellate g.Pyrocystis. Dinoflagellates are aquatic microorganisms with flagella. Some are photosynthetic. 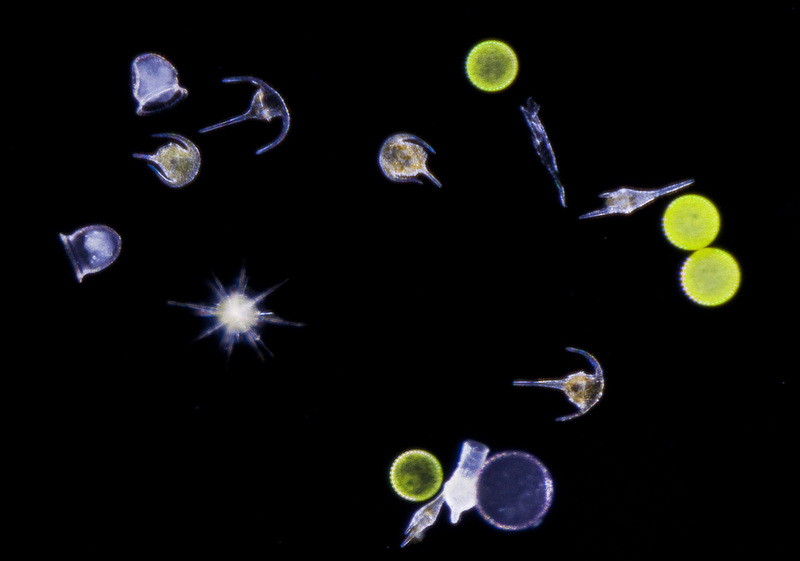 Planktonic protists, collected by the Tara. An Acantharea (protist). Specimen collected by the Tara in the Indian Ocean. Throughout his career, Eric Karsenti has been a pioneer in interdisciplinary approaches to cellular biology. Today, along with Sébastien Colin, he chairs the Morphological Data work group of the Oceanomics project. Providing the scientific follow-up to the 2009 first Tara expedition coordinated by CNRS senior researcher Colomban de Vargas, the group is in charge of collecting, analyzing and archiving the morphological descriptions of the plankton communities sampled during the Tara Oceans expedition. For this researcher who has devoted his professional life to unraveling the secrets of the infinitely small, the adventure continues.